Benno Elkan studied languages in Lausanne before becoming a merchant in Antwerp. He moved to Munich to study painting at the Academy, then to Karlsruhe to study sculpture, before visiting Paris, where he encountered Rodin and Matisse, and finally Rome. Elkan married the daughter of a Rabbi, pianist Hedwig Einstein, and they later moved to Frankfurt am Main with their children. Following Hitler's accession to the Chancellorship and the introduction of anti-Semitic legislation, the couple immigrated to London in 1933 and Elkan's work was included in his absence in the notorious 'Entartete Kunst' ('Degenerate Art') exhibition launched in Munich in July 1937. Elkan also showed three works (heads of Prince Edward, Toscanini and the German-Jewish art dealer, Alfred Flechtheim) in the exhibition 'Twentieth Century German Art', designed as a riposte to the Nazi show, which opened in July 1938 at the New Burlington Galleries in London. Elkan created the first statue in Britain of Sir Walter Raleigh, and designed Frankfurt’s Great War Memorial, which included mourning mothers as a symbol of loss in the First World War (removed by the Nazis in 1933, it was re-erected in 1946). 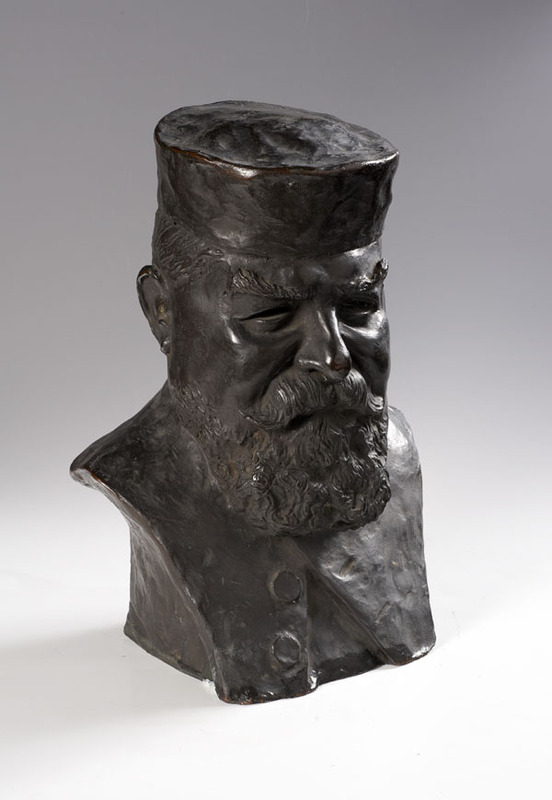 Elkan's sculpture included lifelike busts of recognised artists and politicians, but he also created works deriving from religious stimuli; the Knesset Menorah in Jerusalem features engravings of biblical themes and significant events from the history of the Jewish people. His Old Testament and New Testament Candelabra incorporating around 80 figures, were donated by Arthur Hamilton Lee (1868-1947) to Westminster Abbey in 1939 and 1942. Elkan’s sculpture includes both lifelike busts of well-known artists and politicians and work on religious themes. 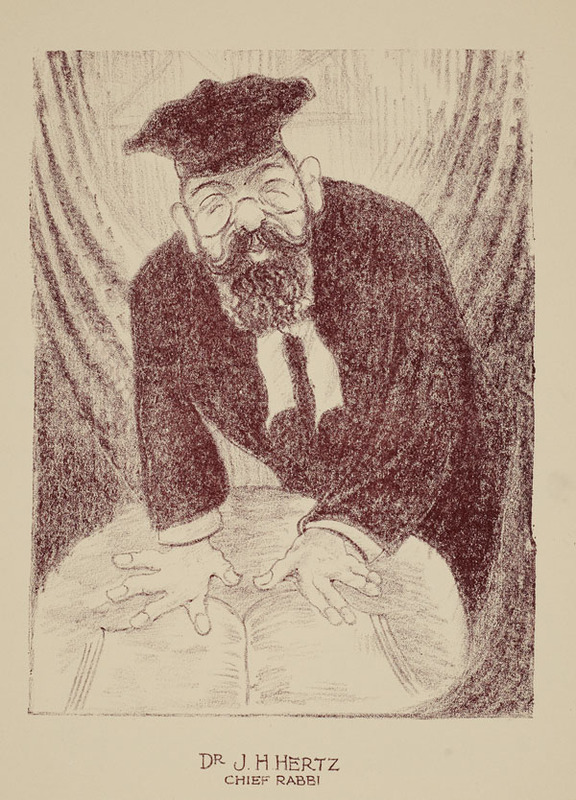 Both interests are combined in this portrait of Slovakian-born émigré Dr. Joseph Herman Hertz, Chief Rabbi of the British Empire from 1914-46, one of the foremost spiritual leaders of Jewry, and a dedicated Zionist. In 1938-39 the Ben Uri Chairman's report noted that Elkan, many of whose public monuments had been destroyed by the Nazis, had given a talk at the society on 'Conception and Style in Sculpture' in June 1939.